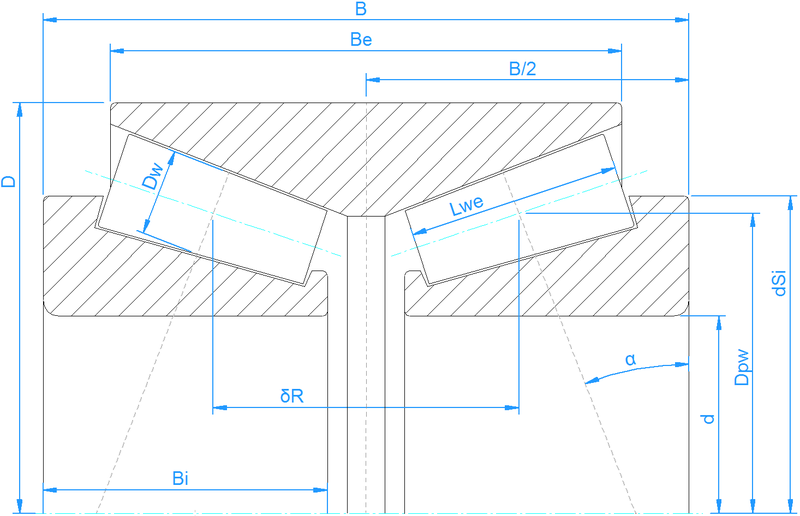 As for other double row bearings types, the arrangement of contact angles can be defined in the options dialog. Unlike the single row radial tapered roller bearing, the distance between rows measured from the center of the corresponding rollers has to be entered. The same results are calculated as if using a single row bearing with a bearing configuration of two rows. The only difference is the load capacity which is shown for the double row bearing. As in the other bearing types, the clearance can be also defined as radial clearance.